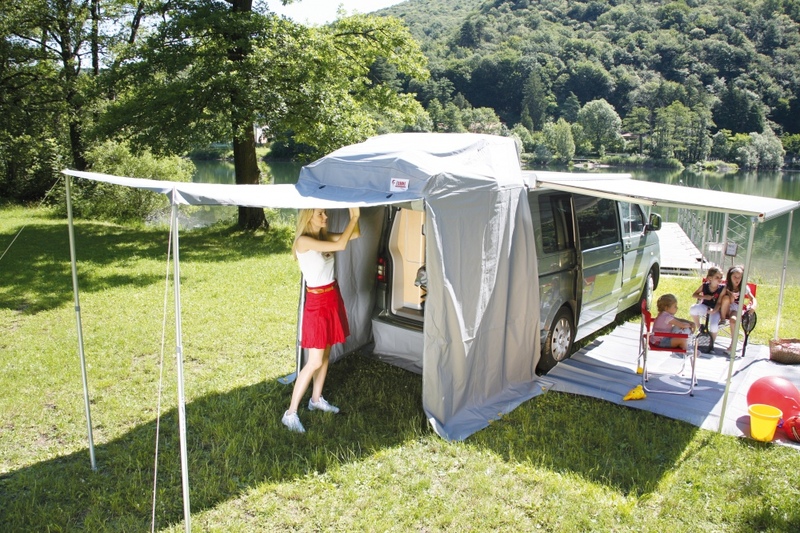 Innovative enclosure for the rear door of VW T5. Quick installation both on standard rear doors and on rear doors with Carry-Bike installed (with no bikes). 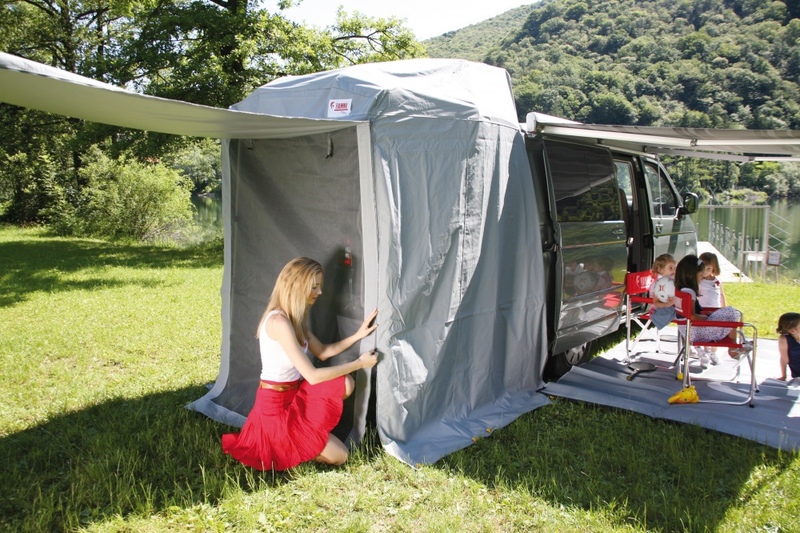 Side elastic belts tighten the awning on the rear door. KIT POLES Set of aluminium poles (Kit Poles) to extend the door as an additional canopy. Optional rear Skirting available for both Ducato and VW T5 models.